The information presented on this page was originally released on April 21, 2003. It may not be outdated, but please search our site for more current information. If you plan to quote or reference this information in a publication, please check with the Extension specialist or author before proceeding. If you are one who enjoys taking in the sights and smells of a Southern garden after-hours, consider one of the most spectacular vines available, the moonflower. The moonflower is related to the morning glory and originates from tropical America. It is the kind of plant that makes memories for your children. It is an heirloom, or antique, vine grown in the South that all children, and adults for that matter, need to experience. Large, pristine, white, fragrant flowers open in the late afternoon or early evening and reflect moonlight all night long. This nightly occurrence happens from mid-summer through fall. If you are fortunate, a luna moth will visit, making the whole experience one to reminisce about with the family. It is time to start thinking about growing the moonflower at your home. Select a site in full sun, even though it is the moon that will show it off. When writing "Mississippi Gardener's Guide," I suggested selecting a site in full moonlight, but the editor didn't let it pass. The soil should be fertile and organic-rich, so amend with 3 to 4 inches of compost or humus. Incorporate a cup of 5-10-5 fertilizer when preparing the site. Transplants aren't available at all garden centers, but seeds are easy to find. Seeds can be started in a container or planted at the site. Scratch the seed coat with sandpaper lightly a few times, and then soak the seeds overnight. Plant seeds one-half inch deep next to a sturdy structure for climbing. Believe me, these guys can really climb -- they are capable of reaching 15 to 30 feet. 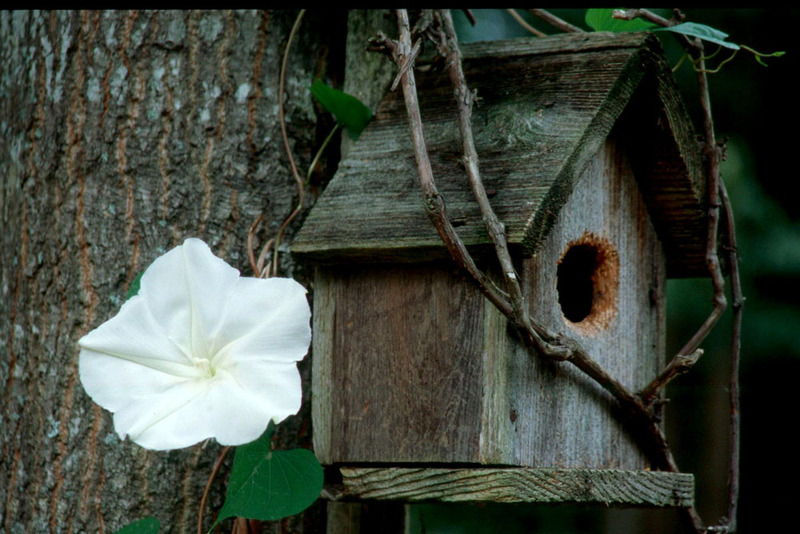 Keep the moonflower watered through the summer and feed every four to six weeks with a light application of a slow-release 12-6-6 fertilizer. Should the vine get too vigorous, pinch or prune to keep confined. 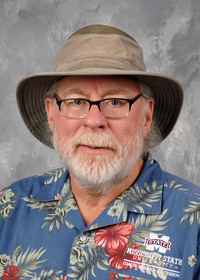 Occasionally spider mites become a problem, so pay attention and treat early if needed. Plant the moonflower where the family can enjoy it. 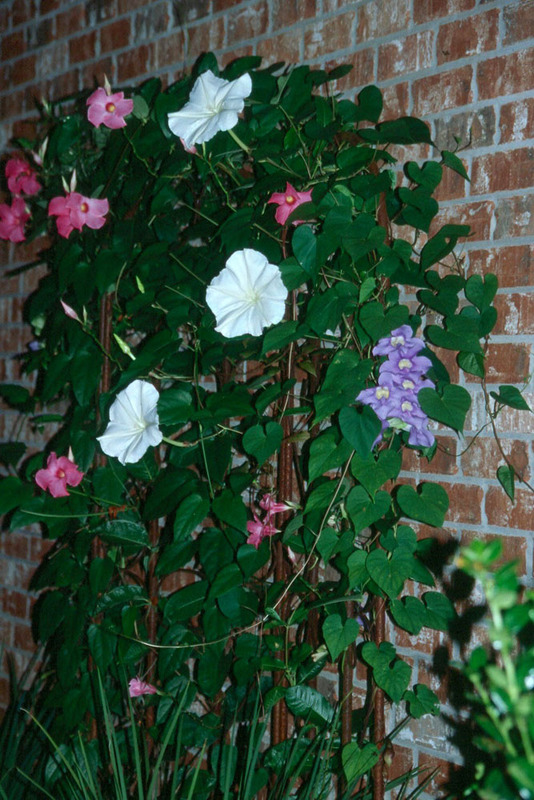 Since it is showiest at night, combine it with something colorful for the daytime, such as its cousin, the morning glory, or the pink "Alice du Pont" mandevilla. At our home we created a "24-hour trellis." One side has the Brazilian Sky Flower Thunbergia grandiflora, the moonflower is in the middle, and the pink Alice du Pont is on the right. Giant White is the standard variety, but there are also lavender-pink selections available. They are known to return from mild winters in zone 8, although almost everyone treats them as annuals. You can leave fruit pods to reseed, or, better yet, pick some after they are mature. If you haven't yet spent time in your garden after the sun goes down, the moonflower's beauty will surely make you a night gardener for life.